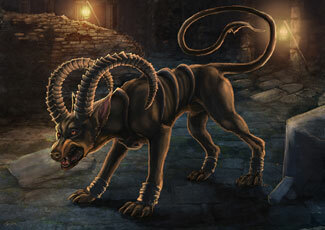 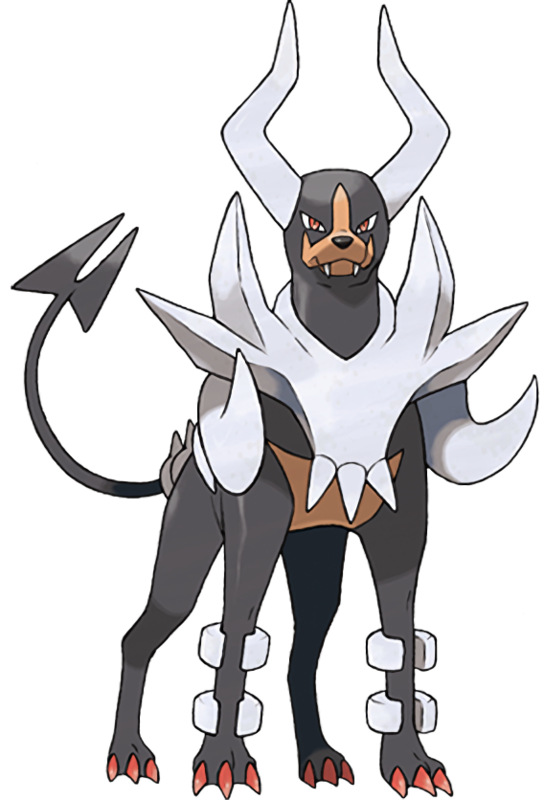 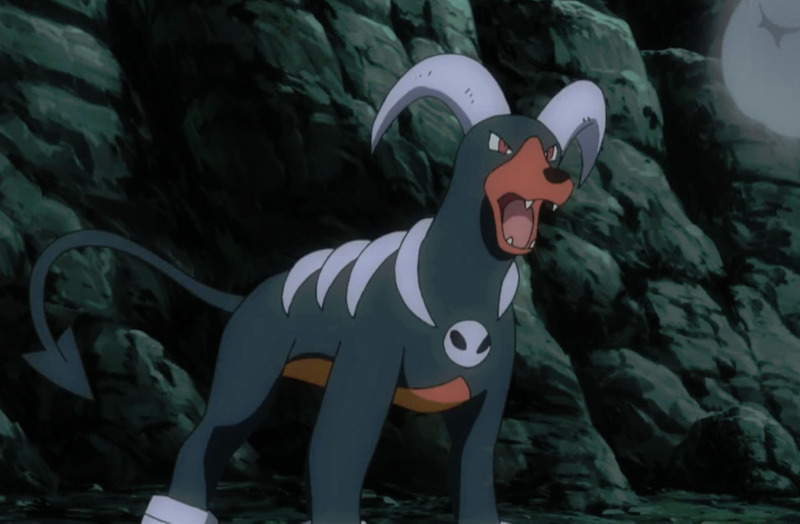 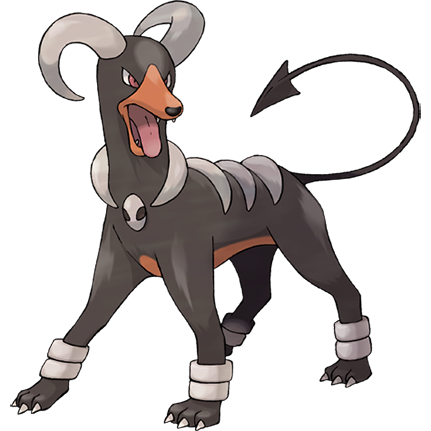 Houndoom is a dual-type Dark/Fire Pokemon and the only one of that kind in the Pokemon series so far. 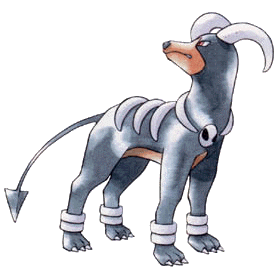 Houndoom debuted in the Pokemon Gen II Games Gold & Silver (1999). 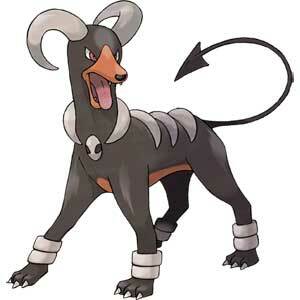 Since Pokemon X & Y (2013) it can evolve into Mega Houndoom. 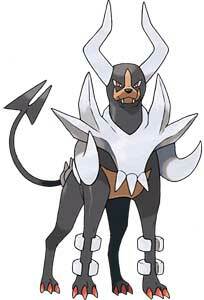 It evolves from Houndour and is listed as #229 in the Pokedex.